Services / facilities within the building include Elliot Hall Theatre, box office, gallery, classrooms and bistro/ bar. 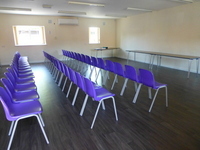 Services / facilities within the grounds include Studio Theatre, Simply Daisy's Café, Dance Studio, Arts Block, Hatch End Suite, Rayners Room, Weald Room, Grimsdyke Room, Greenhill Room (separate classrooms). 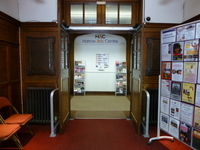 Harrow Arts Centre can also be be contacted at the following:. 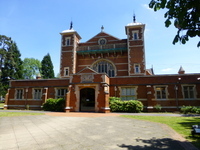 This venue is situated in Hatch End. The nearest mainline station is Hatch End. You are on Opening Times (Arts Centre). Skip to the next section. The venue may close earlier than 23:00 if there is no event or booking that evening. Please contact the venue in advance.. 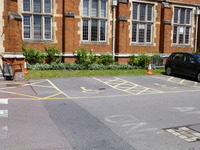 The dimensions of the designated parking bay(s) are 370cm x 480cm (12ft 2in x 15ft 9in). The nearest designated bay is 35m (38yd 10in) from the main accessible entrance. One of the Blue Badge bays is located 15m from the Link Building Entrance. 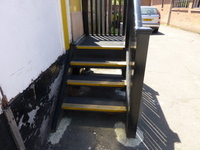 The fourth bay is next the the Rayners Room and the accessible route to the Hatch End Suite. The convenient drop off point is located near the main entrance. When the Arts Centre Car Park is full, patrons are also allowed to use the large car park which is shared with Morrisons' Supermarket. This car park is open until 23:00. 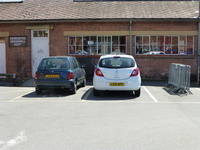 From this car park, users have to cross the access road into the Arts Centre Car Park to reach the main entrance. There are dropped kerbs at the road crossing. You are on Outside Access (Main Entrance Elliot Hall). Skip to the next section. The entrance to the Box Office is located between the two doors. .
You are on Inside Access (Elliot Hall Building). Skip to the next section. Music is played in the background and can be turned off easily. 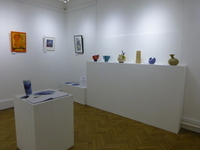 The photographs show the gallery, opposite the Box Office, and one of the first floor classrooms. You are on Theatre (Elliot Hall ). Skip to the next section. The accessible toilet is 14m from the foyer. 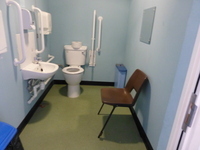 The accessible toilet is 17m from the auditorium. 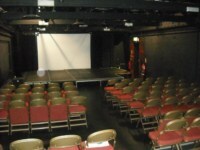 The auditorium has flexible seating arrangements, with about half of the floor area flat nearest the stage. The rear half of the seating is tiered bleacher seating. On the flat area, the seats are not fixed and can be arranged to suit the performance and the audience. The number of spaces for wheelchair users is flexible but they are usually situated on the end of the rows. The wheelchair can either be left with the patron or taken from the auditorium. Free tickets are offered to carers of visitors who are wheelchair users on selected shows. 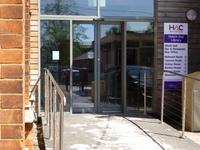 You are on Outside Access (Car Park Entrance to Foyer). Skip to the next section. These doors can be avoided by using the main entrance. You are on Level Change (Car Park Entrance to Foyer). Skip to the next section. You are on Outside Access (Car Park Entrance to Bistro). Skip to the next section. 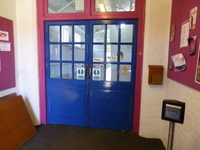 These doors can be avoided by using the Link Building entrance or the main entrance. You are on Level Change (Car Park Entrance to Bistro). Skip to the next section. You are on Other Floors (Car Park Entrance Stairs). Skip to the next section. 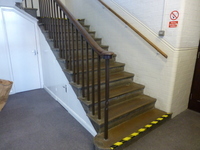 These stairs can be bypassed by using the lift and ramp located in the Link Building. You are on Restaurant Bar Internal (The Bistro). Skip to the next section. The nearest table is 20m (22yd) from the Link Building entrance. 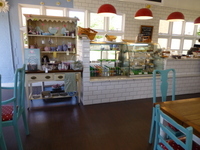 The type of food served here is hot meals and drinks. 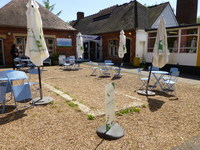 The Bistro is open prior to performances for meals and is also the location for interval drinks. The nearest accessible entrance to the Bistro is via the Link Building. 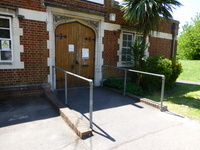 There is also level access from the main entrance and the auditorium. You are on Accessible Toilet (Ground Floor Foyer Elliot Hall). Skip to the next section. 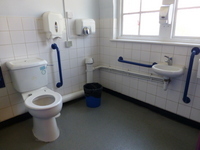 This accessible toilet is located on the right of the corridor, leading to the right from the main entrance. 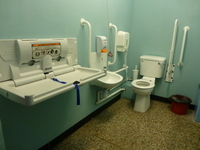 There is an additional accessible toilet on the ground floor of the Elliot Hall building. This is on the north (Uxbridge Road) side of the building. There is a further accessible toilet on the first floor of the Link Building (see photo on the right). This toilet is accessible by lift and ramp. It is 10m from the lift. You are on Standard Toilet(s) (Ground Floor Foyer Elliot Hall). Skip to the next section. The female toilets are located to the right hand side of the foyer. The female toilets are 18m (20yd) from the main entrance. The male toilets are located to the right hand side of the foyer. The male toilets are 20m (22yd) from the main entrance. 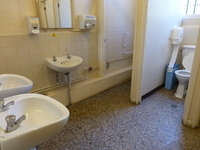 There are additional standard toilets on the ground floor of the Elliot Hall building. 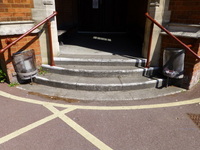 These are located on the north (Uxbridge Road) side of the building, 30m from the main entrance (see photo on the right). There is an additional unisex standard toilet on the first floor of the Link Building, 3m from the lift. .
You are on Outside Access (Link Building). Skip to the next section. This information is for the entrance located off the car park at the east end of the building. The door opening is 107cm (3ft 6in) wide. These doors open automatically by movement sensor. 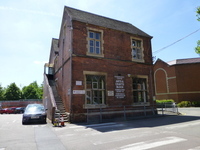 The Link Building is a new section which links the east end of the Elliot Hall building, with the building which now contains Hatch End Library. 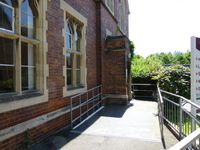 There is a lift and stairs to the first floor classrooms. There are accessible and standard toilets on the first floor. You are on Level Change (Link Building Entrance). Skip to the next section. The ramp or slope is located from the car park to the Link Building entrance. You are on Lift (Link Building). Skip to the next section. The lift is 6m (19ft 8in) from Link Building entrance. 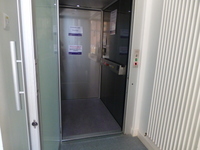 The dimensions of the lift are 105cm x 150cm (3ft 5in x 4ft 11in). You are on Other Floors (Link Building Stairs). Skip to the next section. These stairs can be bypassed by the Link Building lift. You are on Level Change (First Floor Link Building to Elliot Hall). Skip to the next section. 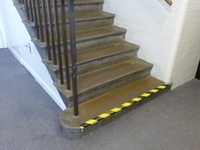 The width of the ramp or slope is 130cm (4ft 3in). 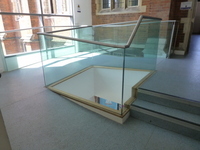 The ramp bypasses the steps and gives access from the first floor landing in the Link Building, at the level of the Link Building lift and stairs, to the first floor classrooms on the Elliot Hall Building. 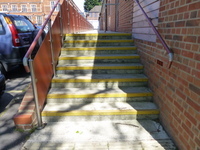 There is a further easy ramp from this ramp/ stairs to the classrooms corridor. 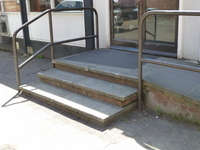 There are handrails to both sides of all the ramps. You are on Outside Access (Studio Theatre). Skip to the next section. The Studio Theatre is in a separate building at the east end of the Arts Centre complex. The nearest Blue Badge parking bays are located near to the Link Building/ Rayners Room, approximately 20m from the Studio Theatre entrance. There is an easy slope up in the path leading to the entrance. You are on Theatre (Studio Theatre). Skip to the next section. 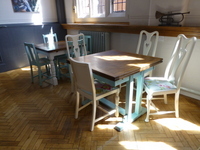 The accessible toilet is within Simply Daisy's Café, next to the Studio Theatre. Free tickets are offered to carers of visitors who are wheelchair users. You are on Restaurant Bar Internal (Studio Cafe). Skip to the next section. The type of food served here is drinks and snacks. 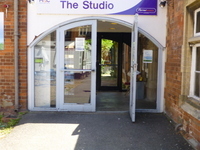 The entrance to the café is off the foyer shared with the Studio Theatre. 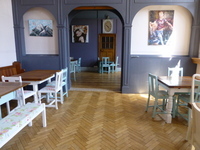 The café has its own accessible toilet (see photo, right) and standard toilets, which are also used by theatre visitors. You are on Dance Studio. Skip to the next section. 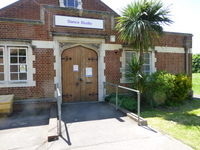 The Dance Studio (formerly Hatch End Library) is a separate building on the south side of the Art Centre complex. 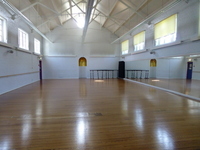 It is used for dance/ exercise classes and is open according to the class programme. The outer doors are usually held open when the building is in use. 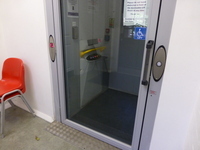 The second set of doors is powered, operated by push pad. There is an easy slope up on the path leading to the entrance. You are on Accessible Toilet (Dance Studio). Skip to the next section. 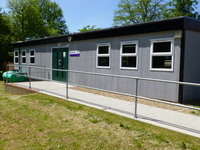 The accessible toilet is 2m (2yd 7in) from the main entrance. The accessible toilet is located to the right as you enter the building. 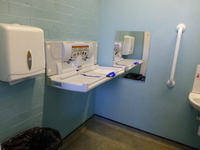 The dimensions of the accessible toilet are 215cm x 195cm (7ft 1in x 6ft 5in). The hand dryer is 110cm (3ft 7in) high. 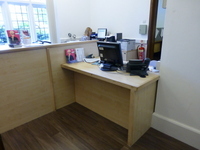 When extended, the height of the baby change bench is 75cm (2ft 5in). You are on Arts Block. Skip to the next section. The Arts Block is a separate building located to the south of the Arts Centre Complex, close to the car park entrance. 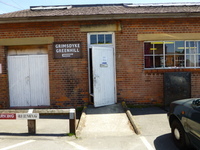 There are two art/ craft rooms on the ground floor and two on the first floor. 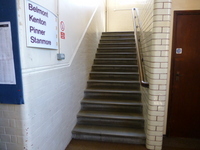 The first floor rooms are accessed by internal lift (which also gives access to the accessible toilet) or external stairs. You are on Outside Access (Arts Block Ground Floor). Skip to the next section. This information is for the entrance located at the right side of the building. 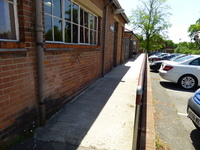 There is an easy slope leading from the car park to the Arts Block Entrance. The powered door is operated by push pad. You are on Lift (Arts Block). Skip to the next section. The lift is located in the entrance hall of the Arts Block. 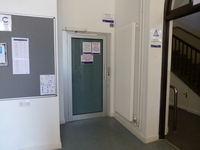 The lift is 3m (9ft 10in) from Arts Block entrance. The dimensions of the lift are 104cm x 131cm (3ft 5in x 4ft 4in). The lift has a manual door, which is heavy. 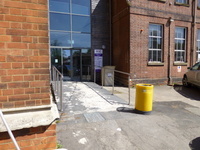 You are on Outside Access (Arts Block First Floor). Skip to the next section. This information is for the entrance located on the outside left of the building. 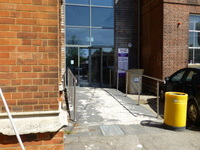 This entrance and its stairs can be bypassed by using the ground floor entrance to the Arts Block and the lift. You are on Level Change (Arts Block First Floor). Skip to the next section. 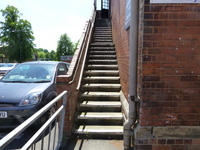 The steps are located externally, on the left of the building. There is / are 26 step(s) to the area / service. You are on Accessible Toilet (Arts Block First Floor). Skip to the next section. 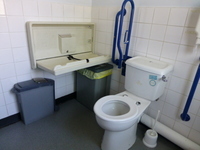 The accessible toilet is located in the lobby by the Arts Block First Floor Entrance. 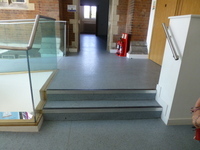 From the lift, access to the accessible toilet is via either of the two first floor classrooms. 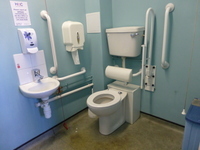 The dimensions of the accessible toilet are 146cm x 236cm (4ft 9in x 7ft 9in). There is a baby change bench within the accessible toilet. The height of the bench when extended is 91cm (3ft). 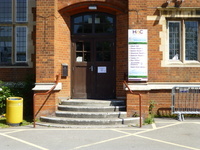 You are on Outside Access (Hatch End Suite). Skip to the next section. The door opening is 98cm (3ft 3in) wide. There are three identical doors to access the three rooms. The doors are accessed from a raised level walkway that runs the length of the building. 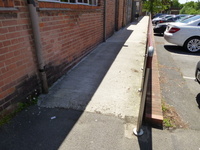 This walkway overcomes the slope of the car park. You are on Level Change (Hatch End Suite). Skip to the next section. 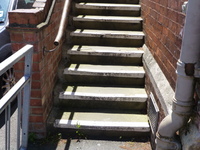 The ramp or slope is located at the Rayners Room end of the walkway. The steps are located at the south end of the walkway. You are on Hatch End Suite. Skip to the next section. The Hatch End Suite is a detatched building at the east side of the Arts Centre complex. 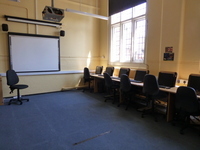 It contains three multi-purpose function/ training rooms which can be opened up to make one or two larger spaces. 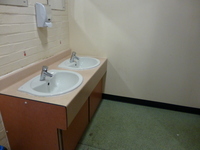 The suite does not have its own toilets - the nearest accessible and standard toilets are in the adjacent Rayners Room. There is level external access between the two rooms. The nearest Blue Badge parking bay is outside the Rayners Room. You are on Outside Access (Rayners Room - Lobby Entrance). Skip to the next section. This information is for the entrance located at the front right of the building. 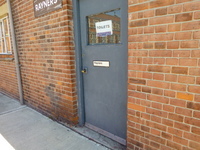 Rayners Room is a detached art studio room located on the east side of the Arts Complex, adjacent to the Hatch End Suite. 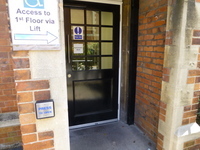 This entrance opens onto a lobby with an entrance to the studio and to accessible and standard toilets. 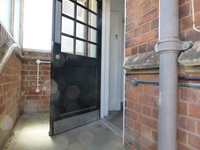 There is level access at the doorway, which is reached via the easy ramp and level walkway shared with the Hatch End Suite. You are on Outside Access (Rayners Room - Classroom Entrance). Skip to the next section. 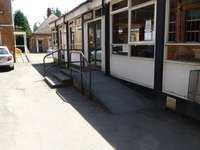 This information is for the entrance located from the car park to the classroom. You are on Level Change (Rayners Room Classroom Entrance). Skip to the next section. 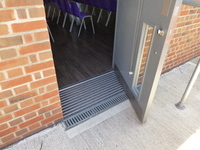 This entrance opens directly onto the classroom. It can be bypassed by using the Rayners Room Lobby Entrance. You are on Accessible Toilet (Rayners Room). Skip to the next section. 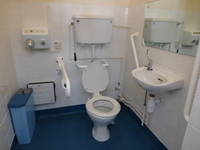 This accessible toilet is approximately 4m (4yd 1ft) from the Rayners Room lobby entrance. 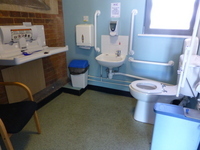 This accessible toilet is located on the right hand side of the entrance lobby. The key can be obtained from staff members. You are on Standard Toilet(s) (Rayners Room). Skip to the next section. The female toilets are located on the right of the entrance lobby. 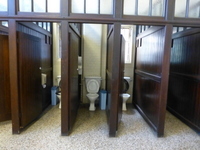 The female toilets are 5m (16ft 5in) from the Rayners Room lobby entrance. The male toilets are located on the right of the entrance lobby. The male toilets are 3m (9ft 10in) from the Rayners Room lobby entrance. 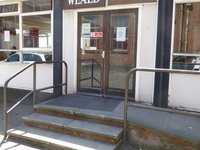 You are on Outside Access (Weald Room). Skip to the next section. 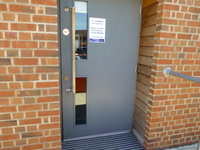 The door opening is 72cm (2ft 4in) wide. 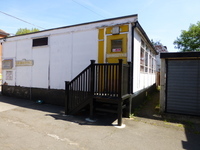 The Weald Room is a detached classroom building at the east end of the Arts Centre Complex. 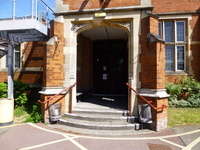 The entrance is opposite the library/ Link Building. The nearest Blue Badge bay is next to the Rayners Room. 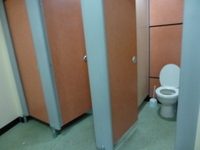 The nearest accessible toilet is on the first floor of the Link Building. You are on Level Change (Weald Room). Skip to the next section. 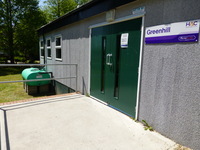 You are on Outside Access (Greenhill Room). Skip to the next section. 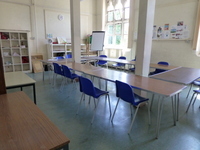 The Greenhill Room is a detached classroom/ multi-purpose room at the south side of the Arts Centre Classroom. There is an easy slope leading from the car park to the entrance. The nearest accessible and standard toilets are in the Rayners Room. 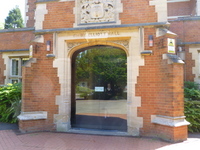 You are on Outside Access (Grimsdyke Room). Skip to the next section. 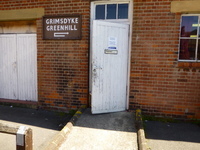 The Grimsdyke Room is a detached classroom building at the east end of the Arts Centre Complex, behind the Rayners Room. You are on Level Change (Grimsdyke Room). Skip to the next section. 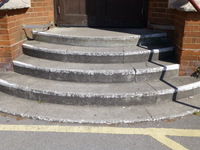 The steps are located leading up to the door. The assistance dog toilet area is located throughout the complex on grass areas.